and whether it must be a separate document or printed on the back of the title. Both buyer and seller must keep a signed copy as record. 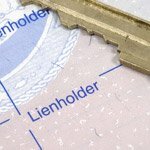 If you buy a vehicle from another individual, be sure the seller provides you with a separate odometer disclosure statement. You will need to submit a copy of the statement to the Division of Motor Vehicles when applying for your title. You can attach your disclosure statement to your free Car Sales Agreement to formalize your transaction. Explore the useful tips and information on our Automobile Bill of Sale page when buying or selling a vehicle. Note: all addresses must be complete physical addresses. You can download the form right here, but make sure that it fulfills all the requirements of your local authorities. Federal and State law require that you state the odometer mileage upon transfer of ownership. Failure to complete or providing a false statement may result in fines and/or imprisonment. ____ (1) The odometer reading is the actual mileage. ____ (2) The odometer reading reflects the amount of mileage in excess of its mechanical limits. ____ (3) The odometer reading is not actual mileage. WARNING - ODOMETER DISCREPANCY. 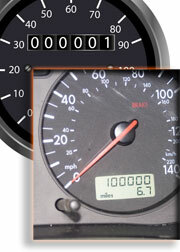 Your free odometer disclosure statement can be used to legally record your vehicle's mileage.